PEPSICO FOUNDATION BRAND IDENTITY: We Feed Potential. When a woman has the tools to nourish and not just feed her family, when she has access to running water, or irrigation, or a job of her own and the training to be good at it, it’s not just her life that is transformed. She provides for her family, then her whole community. She raises children who pass on what she knows. Her impact echoes for generations. We’ve seen her do it, in communities all across the globe. And that’s why our mission begins with her. Less than half of recyclables in U.S. homes get recycled. We can do better. 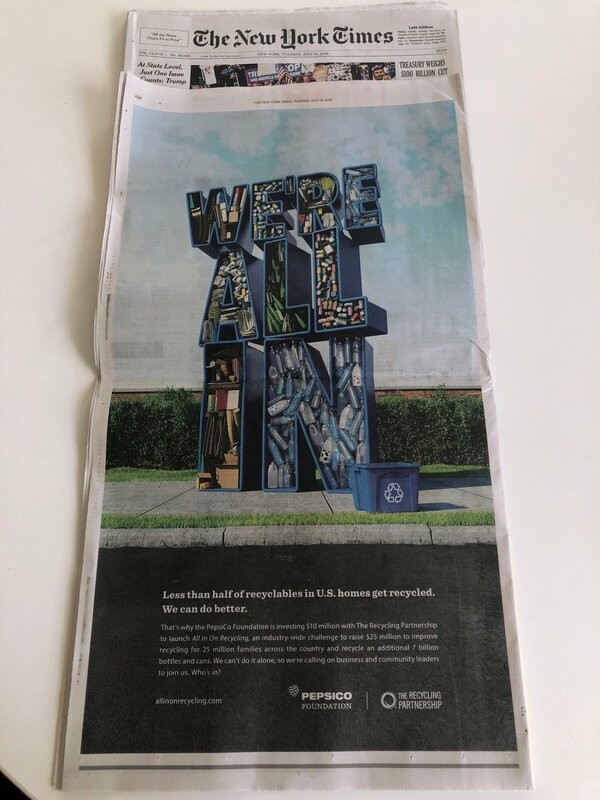 That’s why the PepsiCo Foundation is investing $10 million with The Recycling Partnership to launch All In On Recycling, an industry-wide challenge to raise $25 million to improve recycling for 25 million families across the country and recycle an additional 7 billion bottles and cans. We can’t do it alone, so we’re calling on business and community leaders to join us. Who’s in?